One may have the freedom to express oneself and that is a political and legal right in many democratic nations; however, it is the Creator of speech Who eventually has the final say on the matter. Freedom of speech is often wrongly seen as expression free from any moral limitations. Jesus taught that “the evil man takes out from the evil treasure of his heart evil things; as the good man takes out from the good treasure of his heart good things.” This is true about our speech. Lies and slander about people or about who God is, have effect on our lives, regardless if we believe in that or not. O generation of vipers, how can ye, being evil, speak good things? for out of the abundance of the heart the mouth speaketh. A good man out of the good treasure of the heart bringeth forth good things: and an evil man out of the evil treasure bringeth forth evil things. But I say unto you, That every idle word that men shall speak, they shall give account thereof in the day of judgment. For by thy words thou shalt be justified, and by thy words thou shalt be condemned. Free speech, on the other hand, is one that is morally and ethically justifiable, and leads to the truth and to the ultimate freedom in Jesus Christ. Hence lying and slandering God, although maybe be protected by “freedom of expression,” but it is not free speech – it is deceptive and destructive. There is no freedom without truth and Jesus clearly taught that freedom is to study and obey His teachings (John 8:32). As the world continues to slip into darkness and chaos, Jesus has called us to be light and salt, and call to repentance all who seek the Truth. This the speech that the world needs to hear. This entry was posted in Advocacy, Apologetics, Bible, Church and State on February 2, 2015 by admin. Is the defense of religious freedom a legitimate Christian ministry? 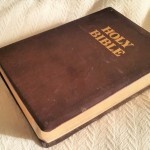 If the Bible is true word of God, then why are all the Bibles different? Northwestern Bulgarian Initiative to Secede: A Cry of Despair and a Call to Mission?